Is there anything worse than having your home’s air conditioner break on you in the middle of a hot day? In a matter of just an hour or so, your house can go from cool and comfortable to sticky and unbearable as a result of a broken air conditioning. The good news is that you won’t have to live like this for very long. If you ever find yourself sitting around, realizing that your AC may be broken, you can call and have AC repairs done usually the same day! Because, who doesn’t want to make their home cool and comfortable again quickly? But in the meantime, there are some things that you should 100% NOT do while dealing with a broken air conditioner. By taking the wrong steps when your AC unit gives out on you, the potential of the fix being more significant, drastically increases. Is your AC unit making a funny sound when you have it turned on? Is it producing air that feels entirely too warm? Is it leaking water and making a big mess in your utility room? If any of these things are taking place, you likely have a broken air conditioner on your hands. You’ll need to reach out to a heating and cooling specialist right away to have it fixed. But you might be surprised by how many people choose to ignore obvious signs of a malfunctioning AC unit. Rather than call someone to come out to their home to make repairs, they’ll ignore the problem at hand as if it doesn’t even exist. This isn’t going to get your home any cooler! Instead of ignoring the issue at hand, you should tackle it head-on so that it doesn’t take a toll on you and your family as well as your home. There are many instances in which it’ll be impossible to use a broken air conditioner. You won’t be able to turn your AC on when it shuts down completely, and you’ll have no choice but to call someone to come out to your home to help. There are, however, some situations in which an AC unit will continue to turn on and run, even when it’s not working properly. If your air conditioner is doing this at the moment, you might decide to continue using it until you can have someone come to your home to fix it. This is another big mistake. If you continue to use a broken AC, it could put even more of a strain on your unit and cause additional problems with it. A minor issue could turn into a huge headache and a more costly expense. The second you realize your AC broke, you should shut it down and contact someone for help. It’ll prevent your AC from breaking further and complicating the repair job that needs to be done on it. Studies have shown that the majority of Americans consider themselves handy. According to one survey conducted in early 2018, about 60 percent of baby boomers and Generation Xers and about 70 percent of millennials say that they’re handy around the house. With this in mind, there are a lot of people who might think about attempting to fix their AC unit if it ever breaks. They might ask themselves the question, “How hard could it possibly be? !”, and then get to work. The truth is that it can be very hard to fix a broken air conditioner, especially if you’ve never done it before. HVAC professionals spend years training to do it and are the only ones who are qualified to make AC repairs. Leave the job to them. When your air conditioner is broken, the absolute last thing you want to do is run appliances in your home that will generate a lot of heat. That heat will heat your home up quickly, and without your AC unit, it’ll stay hot inside your house. You should even try to avoid using computers, laptops, TVs, and other electronics that give off heat when they’re turned on. You should shut off lights throughout your home, too, as they can give off unnecessary heat. Any extra heat could make your home more uncomfortable in a hurry. This sounds like a silly solution to the problem that you’ll encounter when your AC breaks and your house starts to heat up. But there are many homeowners who get desperate and try to cool off their homes by opening up their refrigerators and freezers to cool things off. Unless you have an extremely small house, your refrigerator and freezer aren’t going to do enough to cool it off. You’re also going to put a huge strain on your fridge and freezer if you take this approach and potentially cause damage to them. Keep your refrigerator and freezer closed when your AC goes down to prevent the hot air from your home from getting into them. They’re not going to do nearly enough to salvage the situation and make it any better. The Solution: If Your AC Broke, Get It Fixed Right Away! There are few things more frustrating than realizing that your AC broke on a really hot day. You might start to panic while you wonder what you’re going to do. 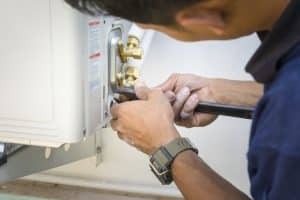 But rather than losing your cool–both figuratively and literally–you should pull it together and start calling around to AC repair companies right away. You can have a broken AC in Augusta, GA fixed in no time once you track down the right company for the job. 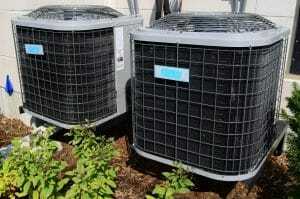 Contact us today to learn more about the AC services we can provide to you. 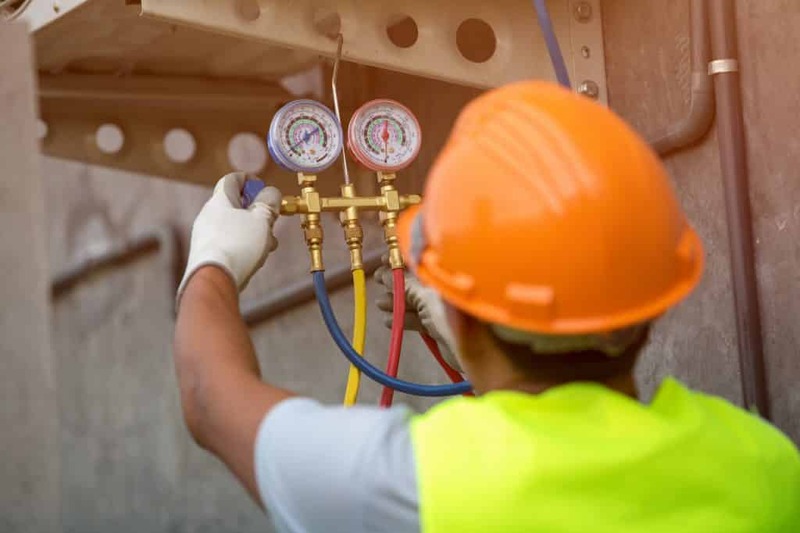 From AC installation to AC maintenance to AC repair, we can make sure your home stays cool and comfortable at all times.